Like each year, this year also Hanseo University Volunteers have arrived at KISS to volunteer and work with KISS students. Usually, they come twice a year, i.e. during the month of January and July. In fact, this is their 10th year of visiting KISS. 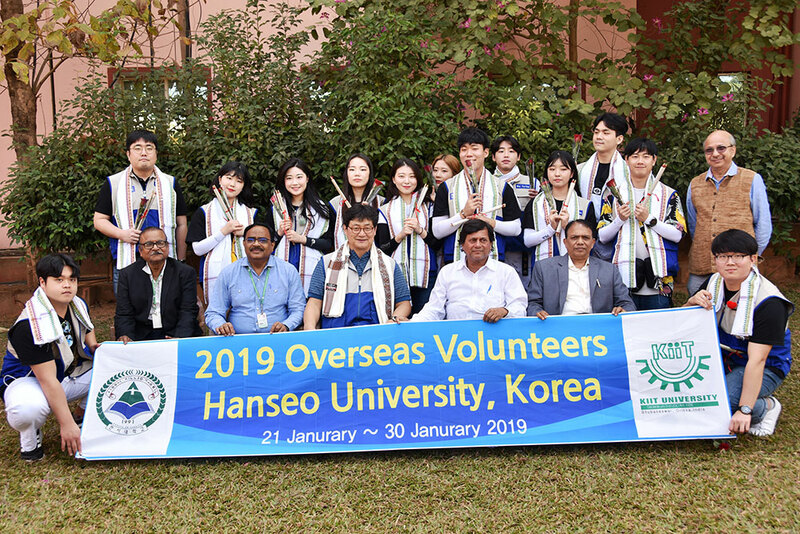 In all, a team of 14 people including 12 Volunteers and 2 Faculties led by Prof. Kim, Seung-Jae, Dean, Graduate School of Education arrived on 22nd of January and will leave on 29th of January, 2019. They are undertaking activities such as Teaching Korean Language and Teaching Taekwondo (A form of Martial Arts). They also will teach Korean folk games and engage with students in various other projects. Other community level engagements that they could help would also be brainstormed during this program duration.